After a miraculous Full Moon Lunar Eclipse, we head into a month with no Full Moons, welcoming only the New, and a whole lot of it. Sandwiched between two Full Moons, this February is the first month in several decades without a Full Moon, a rare happening that won’t be occurring again anytime soon. January and March get all the glory this year with 2 Full Moons each, leaving February with a single ? New Moon Solar Eclipse in Aquarius. However, this is one that is certainly powerful enough to make up for the lack of other lunations! As you may have already heard, we are in the midst of Eclipse Season which can trigger many changes in your life & career. While the Full Moon Lunar Eclipse on January 31st helped us clear out the old parts of ourselves that are ready to go, our New Moon Solar Eclipse falling the day after Valentine’s Day on February 15th will be the kickstarter for our newest round of dreams, goals, intentions and creative projects in all of their magnificent glory. Being in Aquarius season for most of this month, new and innovative ideas may be swirling around as connections with others are heightened and we start to look ahead at doing things in even better ways in the future than we had originally planned by including others in the process. Eventually, both Venus and the Sun will move into Pisces by February 18th, kicking off a new season that will be all about checking back in with our emotions and using them to dream even bigger when it comes to the amazing things we want to experience, feel, and accomplish for ourselves this year. What amazing things have you been creating since 2018 began? On the heels of a Full Moon Lunar Eclipse in Leo and your 5th house of Fun & Creativity, you are now entering into a month where your creative inhibitions must now be cast aside in favor of more noble pursuits. You are not the only one who will benefit from pursuing your most exciting and original ideas, so don’t keep them in hiding. In fact, there is probably a whole sea of people who have just been waiting for you to step up to the plate and make something amazing happen, so let go of previous pitfalls and embrace the power you have to inspire and influence others with the work that is also most fun for you! On February 15th, the New Moon Solar Eclipse in Aquarius will be falling in your Community sector. This is the perfect time to dream big and plant a seed for a project that could help improve the world around you even just in your own small, but special way. What is the world needing that you know you would be the perfect person to put out into the world? Send your intention out into the universe to see it bloom into being over the next 6 months (or sooner). Meanwhile, your ruler action planet Mars is now making its way through Sagittarius and your 9th house of Travel, Exploration & Education. The normal everyday grind may not hold nearly as much appeal as setting out into the world and seeking new inspirations and adventures, so this would be an excellent time to satiate your wanderlust by diving into a book, planning a trip, or researching your next course to bring a new dose of magic into your life & career. How’s that money coming, honey? Our Full Moon Lunar Eclipse in Leo on January 31st just happened to fall in your 4th house of Home, Family & Long-term security, uprooting any worries you’ve had around your finances or sense of security & stability since the new year began. This is the time to stop worrying and start doing more to make this a non-issue for you in the future so you can focus your attention back on more exciting pursuits. Luckily, for most of this month, the Sun is moving through your Career Zone. So, now that you are more aware of what your financial goals are, you can use them to fuel you to reach your bottom line by upping your game through the work you’re doing. How can you think even bigger and boost your efforts to a higher level? Bigger opportunities typically tend to equal bigger or even more frequent paydays, so use the magical power of the New Moon Solar Eclipse on the 15th to set your sights high and don’t be afraid to put yourself out in front of people who will actually be willing to pay the rate you need to reach your goals and make your presence more known. By the 18th, both Venus and the Sun will be moving into your Community sector next. Another way you can add some extra pop to your profits is by looking out more for those around you. What do others really need that you could help them with? Consider giving back your time and talents to help others. Perhaps you could gain another mode of income by simply finding the people who are a few steps behind you and helping them get up to speed! Where are your people at? 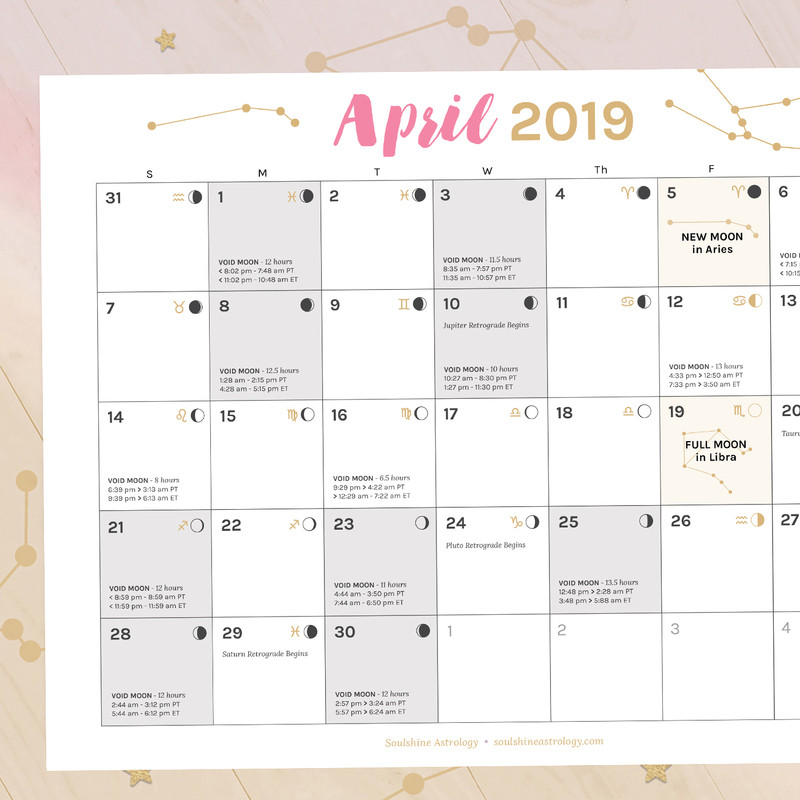 After a Full Moon Lunar Eclipse in your Social Networking sector, we head into a new month where you are now more able to realize which of your connections aren’t really taking you where you want to be and what type of people are going to be the best for you to collaborate with. Clear away any surface-level distractions so you can focus on the clients, customers, people, and projects that truly pique your interest or, at the very least, will actually help you in reaching your most important goals. For most of February, the Sun and your ruling planet mindful Mercury will be cruising through Aquarius and your 9th house of Travel, Exploration, and Education. This may draw you away from the status quo and off to find new experiences or subjects to learn (or teach!) that may even stretch you outside your normal comfort zone. The New Moon Solar Eclipse on February 15th is the perfect time to plant seeds for how you would truly like to widen your horizons and add more magic to your life & career over the next 6 months of the year. By the 18th, the Sun will move on in its journey to slide into your Career Zone next. The amazing things you learn earlier in the month could become an inspiration to help you bring more meaning to the work you’re doing to reach your higher calling in this life. You will know the right moves to make next by the way they feel. Follow your intuition and if you feel lit up and excited by a new idea, you will know you have truly stumbled on to something really good! What are you hoping to receive as you work towards your dreams? In the wake of the recent Full Moon Lunar Eclipse on the 31st of January, it may have become very clear to you what you really want, need, and crave most in your life. Although you have probably reached some amazing goals over the past 6 months, it’s now quite easy to see what’s still missing as well as which goals you are still aiming for – and which goals are no longer as big of a priority as they maybe once were. 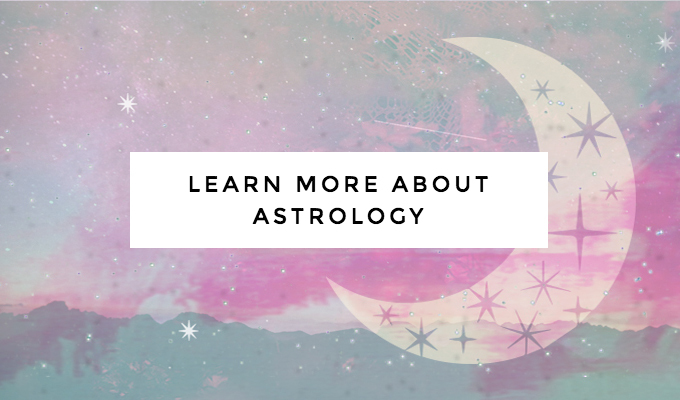 This month, the Sun continues moving through your 8th house of Business to help you make a solid strategy for just how you are going to reach the bottom line that will make you feel the most comfortable and secure. Getting clear on your money mission – and caught up on taxes – will allow you to have more time and freedom to focus on the things that are going to bring in the bucks in the best possible ways in the long run and remind you of the reason why you’re doing all of this work to begin with. The New Moon Solar Eclipse on February 15th is the ideal time to set an intention for how you most would like your money situation to change, improve, and work better for you over the next 6 months. Towards the last 10 days of the month, both the Sun & Venus will be shifting into Pisces and your 9th house of Travel, Exploration & Education next. Once you have your money situation on lockdown, you may be feeling ready to invite more magic into your life & career. Discovering new things, subjects, or places can be an awesome way to add a dose of inspiration that could even end up becoming both extremely fun and extra profitable for you later this year! What a time to be a Leo! Last month’s Full Moon Lunar Eclipse in your sign brought a major turning point for you in terms of how you show up and assert yourself out in the world. While this major lunation may have brought beautiful blessings your way, you may have also become much more aware of the ways in which you are still holding yourself back from going after the real gold in your life & career. Using this intriguing information as your guide to help you see what you still need to let go of in order to shine your very brightest & embrace your greater potential, the Sun is now moving through your 7th house of Relationships to help you put together the other side of the puzzle which is all about how you relate to others around you. As you change and grow, so will your relationships. This is an important time to update others on where you’re at and find ways to get along with them more harmoniously, too. The New Moon Solar Eclipse in Aquarius on the day after Valentine’s Day is the perfect time to plant a wish of what your ideal relationship would look and feel like and watch as it magically blooms into view over the coming months. By the 18th, the Sun will start its next chapter in your 8th house of Business & Finance. This will be the time to put the relationship romance on hold (at least a little!) and focus on more serious matters such as where your money is coming from and where it’s going. The end of the month brings an excellent time to catch up on your bookkeeping and file away your taxes so you can move forward with a clearer vision of what it will really take to reach your idea of financial success as 2018 continues on. Are you truly living in alignment with your higher purpose? After last month’s Full Moon Lunar Eclipse fell in your 12th house of Spirituality, the things that matter to you most in life may have suddenly become starkly apparent. Most people long to feel like what they’re doing every day makes a difference and this eclipse may have brought in a time of questioning if what you’re currently doing with your life is really meant to be part of your greater spiritual path. As you let go of the parts of your life that no longer hold much meaning, you will make room to cultivate a deeper connection to the work you can do to elevate and serve the world around you in your own purpose-fueled way. As most of this month wears on, both the Sun and your ruler Mercury are moving through your 6th house of Health, Work & Daily Routines. Now that you are more aware of what you’re truly working towards, you can set up a solid schedule that will help lead you where you’re really feeling called to go. The New Moon Solar Eclipse in Aquarius on February 15th is the perfect time to start planning how you can squeeze the most meaning from every moment you experience using your grand over-arching “why” as a jumping off point. After February 18th, the Sun will shift into Pisces and your 7th house of Relationships next, bringing a time of cultivating stronger relationships with the people around you who can be there to help support you in your bigger mission and being more mindful of how you offer them support in return. All of these lessons will be gearing you up for a beautifully blessed Full Moon in your sign just as February comes to an end and we slide into March! How can you make the world around you even sweeter? After that Full Moon Lunar Eclipse erupted in your 11th house of Community on January 31st, it may have brought a huge reminder of the amazing things you’ve been doing to help your community, perhaps also revealing what you wish you could be doing more of. You have a natural way of making others feel good around you and it is this special charm that people will surely be missing out on if you choose to keep it all to yourself! It’s time to let go of any self-inflicted barriers that have been holding you back from spreading your reach wider. On the flipside, it’s important to remember that anything you do to help others should provide a spark for you as well. As we move through Aquarius Season for most of this month, the Sun will be lighting up your 5th house of Fun & Creativity. When you bring your own unique ideas to the table, your enthusiasm will be so much more attractive than if you only do things because other people want you to. The New Moon Solar Eclipse on February 15th will bring a call for you to envision new creative ventures you’d like to commit to putting more of your vibrant, loving energy into over the coming 6 months. Later in the month, both your ruler Venus and the Sun will be moving into Pisces and your 6th house of Health, Work & Daily Routines by the 18th. At the end of February, you may find yourself feeling busier than ever, so it will become especially important for you to find new and improved ways of keeping all of the different areas of your life in order. Give yourself the support you need to be able to enjoy your life, get things done, and still feel well-balanced. What’s the bigger impact you’re here to make in the world? After the eventful Full Moon Lunar Eclipse that came at the end of last month – which just happened to fall in your very own Career Zone – you may have reached the culmination of an exciting career boost while also setting your sights toward what is still missing when it comes to the things you have still yet to accomplish. Sure, you may still have some very big dreams, but now that the Sun is moving through your 4th house of Home, Family & Long-term Security for most of February, it’s a good time to remind yourself of the actual benefits you can receive in return for all of this work. What’s the point of working extra hard putting in all of those hours to make money if you won’t have enough time to enjoy the fruits of your labor? Try to get back in touch with that comfy feeling you can only get from being at home in a place you love surrounded by the people you love. The New Moon Solar Eclipse on the 15th will be especially perfect for setting an intention to find ways you’ll be able to continue to enjoy these good vibes even more in the future. As we slide into the end of February, the Sun will be shifting into your Creativity sector next. After the 18th, your next genius idea will be just around the corner and it will be a great time to get back in tune with the colorful visions that excite your spirit most. The muses are more likely to creep up on you when you’re well-rested and feeling good, so try to take some time off if you can because once it comes, you may end up becoming especially busy in your quest to make something truly amazing happen as we move into March. What more have you been searching for? In the wake of last month’s Full Moon Lunar Eclipse in Leo in your 9th house of Travel, Exploration, and Education, you may have received an idea for a new adventure or big picture concept that has had you lusting to expand your horizons more. As excited you might be to get a chance to explore more of what this wonderful world has to offer beyond your normal routine, it’s going to be especially important now to keep all of the smaller details in mind that will eventually help get you there. With the Sun continuing to move through your 3rd house of Social Networking, you may actually be better off making the most of existing collaborations and opportunities for now. This month is perfect for reaching out to like-minded souls nearby to team up for a group effort that will allow you to blend your talents and expand your reach in mutually beneficial ways. Take some time to set an intention on the New Moon Solar Eclipse on the 15th to welcome in more richness through the way you experience your local neighborhood including collaborating with friends you currently have – rather than looking past the many fabulous opportunities that already surround you! As the Sun moves into Pisces and your zone of Home, Family & Long-term Security on the 18th, you may start to feel like nesting or embracing more time close to home. 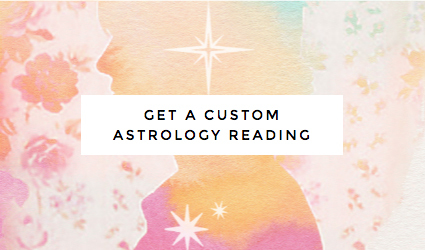 The end of the month will be great for grounding and getting back in tune with where you’d ideally like to see yourself in the future as well as making a super logical & practical long-range plan on just how you’re going to take yourself there. How well is your money really working for you? Last month’s Full Moon Lunar Eclipse in your 8th house of Business & Finance may have either brought you an influx of monetary benefits – or – the stark awareness that you are still needing to do more. Working smarter rather than harder is such an important concept for you to embrace over the next 2 years as Saturn moves through your sign and adds extra pressure for you to get on track with your long-term goals. I mean, really, why make things more difficult than they truly need to be? Meanwhile, the Sun moves through Aquarius and your 2nd house of Love, Money & Goal Setting for most of February. This is a great time to explore what you really want to begin with and remind yourself of your “why”. Is it a certain yearly salary you’re aiming for? Or the feeling of security you’ll get when you reach a particular milestone in your career? The New Moon in Aquarius on the 15th is the perfect time to send your deepest desires out into the universe so you can be sent the resources you need to start receiving them over the coming 6 months. Once the Sun shifts into Pisces on the 18th, perhaps you could think about reaching out to others to see if they can be of help. Having someone special in your corner who has the power & influence to take you so much further than you could go all on your own could be just the smart move you’ve been seeking. Near the end of the month, consider tapping into another’s network to expand your reach and get the perfect people on board with your success mission! It’s a major time of change & renewal, Aquarius! Now that you’ve survived a frenzied Full Moon Lunar Eclipse in your opposite sign of Leo and your 7th house of Relationships, it’s the perfect time to release any relationship issues or imbalances that have come up to the surface and have been keeping you from feeling the full-on love and support you truly deserve. Now, this season is all about you. With the Sun cruising through your sign for most of this month, it’s an important time for you to examine your relationship with #1. What kind of person do you really want to be? What do you want to be known for doing and how do you want to help the world in your own unique way? The New Moon Solar Eclipse falling in your sign on February 15th will be an amazing time for you to set forth a new version of your personal branding that is more in alignment with the true blue & authentic you. In 6 months or less, the wishes & intentions you set now can actually come true! Later this month, the Sun will shift into Pisces and your 2nd house of Love, Money & Goal Setting. Once you’ve become much more clear on who you really are, it will be prime time to make a wish list and start to explore what it is that you really want. You may not be completely sure at the end of this month, but if you continue to play with the possibilities and stretch your mind to envision your ideal reality, more information will be revealed as we move into March. How have you really been feeling lately, Pisces? That crazy Full Moon Lunar Eclipse in Leo at the end of last month landed inside your 6th house of Health, Work & Daily Routines and very well may have pulled some organizational issues up to the surface. If you haven’t been taking good enough care of your body or supporting yourself with a solid schedule, then the need for re-prioritizing your life & career may have become extra clear! Meanwhile, the Sun is moving through your 12th house of Spirituality & Deep Reflection for most of this month. Taking some time to rest, reset, or retreat to get back in touch with your magical mojo is well advised. What really matters to you most at the end of the day? What is your bigger vision that you can look to when you need to put everything else in your life into perspective? The New Moon Solar Eclipse in Aquarius on the 15th is the perfect time to declare your greater “why” so the universe can step in to arrange your life and help make it possible for you to fulfill your grandest plans. By the 18th, the Sun will be sauntering right into your sign next. Now that you’ve had the time to contemplate the deeper meaning behind your daily actions, you’ll finally be ready to bring your ideas out into the world and transform this daring dream of yours into a tangible reality. With careful planning and consideration, the end of the month will be the perfect time to set your vulnerabilities aside and unveil a whole new evolution of you.